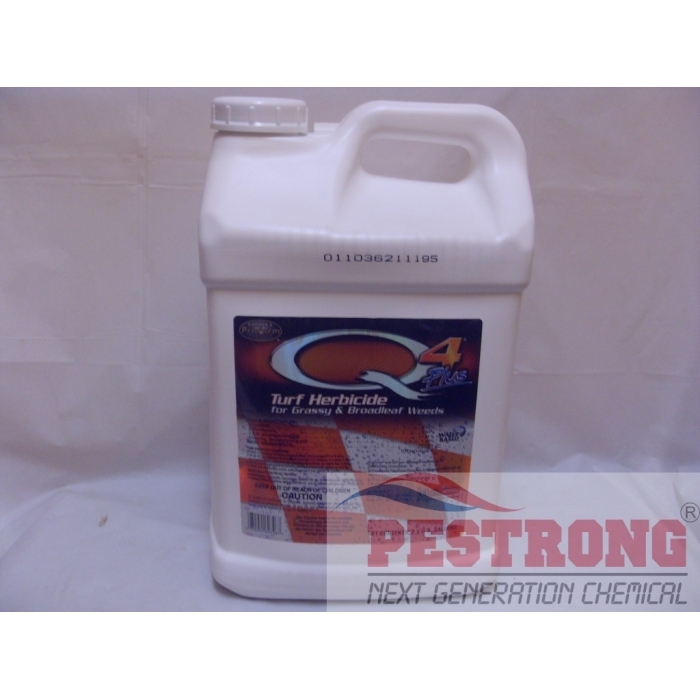 Where to Buy Q4 Plus, Q4 Plus Turf Herbicide - Qt - 1 - 2.5 Gallon - $44.95 for Sale with Fast Free Shipping! 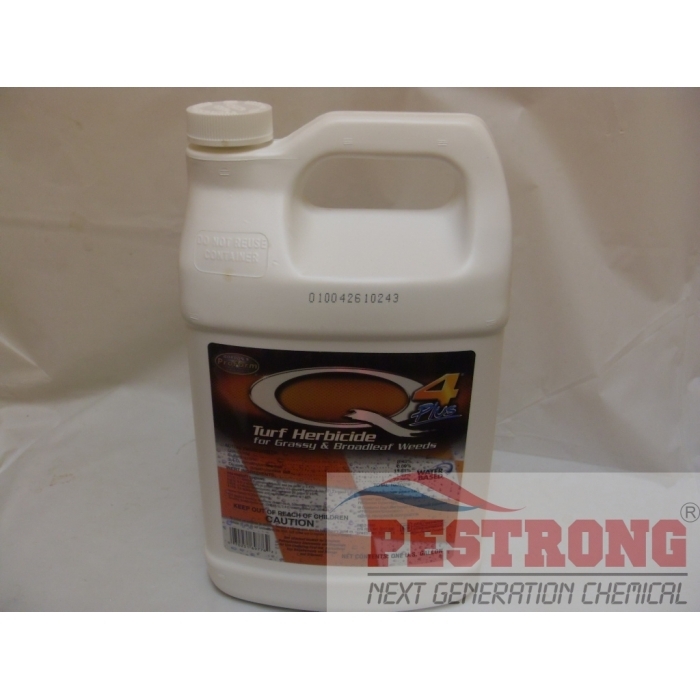 Q4 Plus Turf Herbicide - Qt - 1 - 2.5 Gallon containing four (4) active ingredients Quinclorac, Sulfentrazone, Dicamba, and 2,4-D that can be applied with ease for nearly all their weed problems. 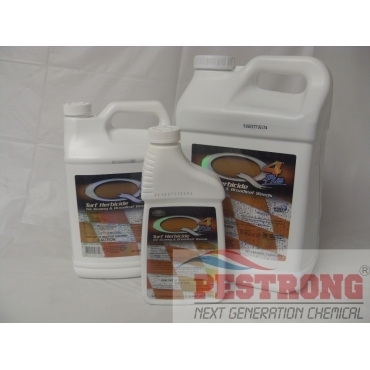 Q4 Plus contains sulfentrazone, adding fast-acting yellow nutsedge control as a bonus. Q4 Plus has dramatically less discoloration on cool-season turf compared to MSMA. Q4 Plus is highly selective on cool-season turf grasses. Labeled species include bluegrasses, ryegrass, tall fescues, and bermudagrass. Q4 has a CAUTION signal word, a good toxicological profile, is rain-fast in 6 hours and has a 4 week reseeding interval. 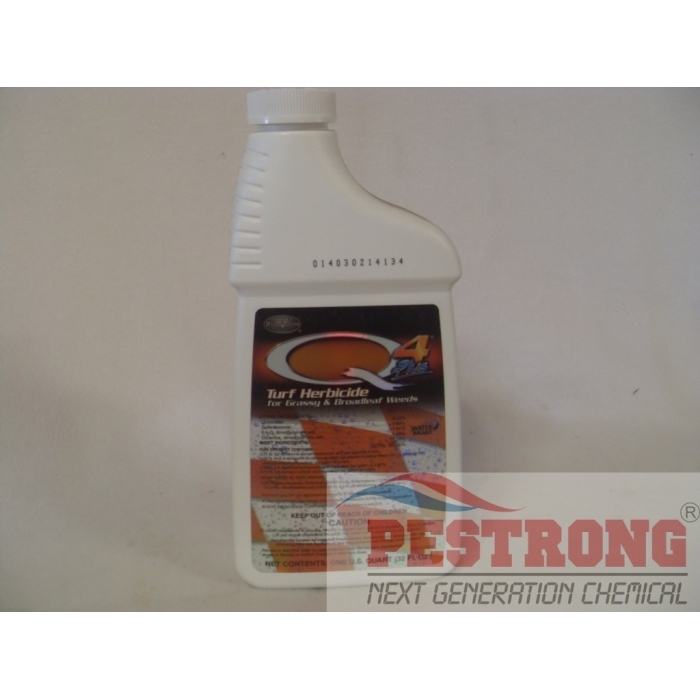 Q4 plus is literally the solution to ALL my weed problems, works so good! Impressive performance, fast shipping, and reasonable price. I am greatly satisfied with this purchase. 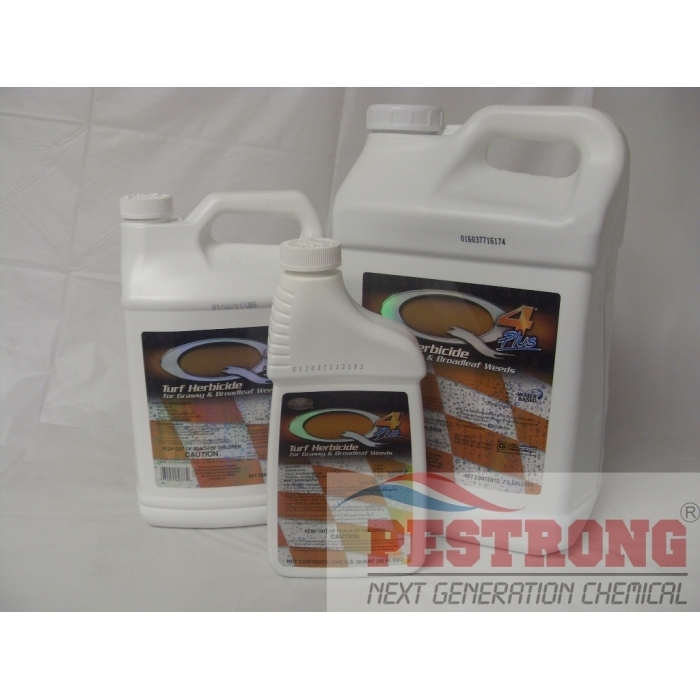 great herbicide, works fast just like its shipping was. saw yellowing and wilting quite quickly. Q4 hit them weeds hard and fast, product works great!